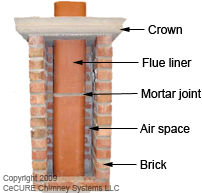 Whether your masonry chimney is used to vent a fireplace, woodstove or furnace, most have sections of clay flue tile stacked one on top of the other to form a liner called the flue. 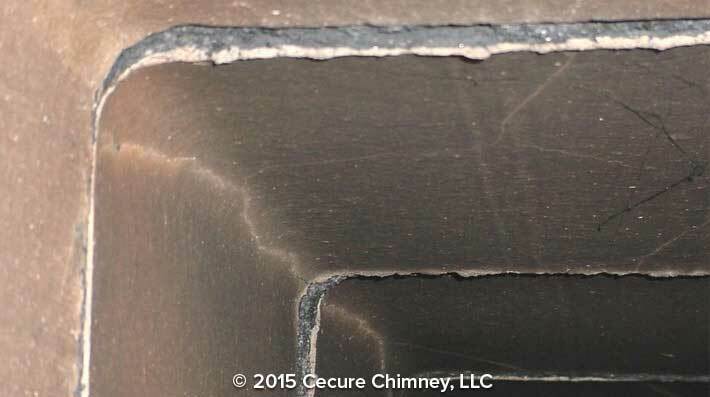 The flue liner should be tightly sealed to protect the integrity and efficiency of your chimney. But over time, hidden dangers can develop that will compromise the safety and efficiency of your chimney. 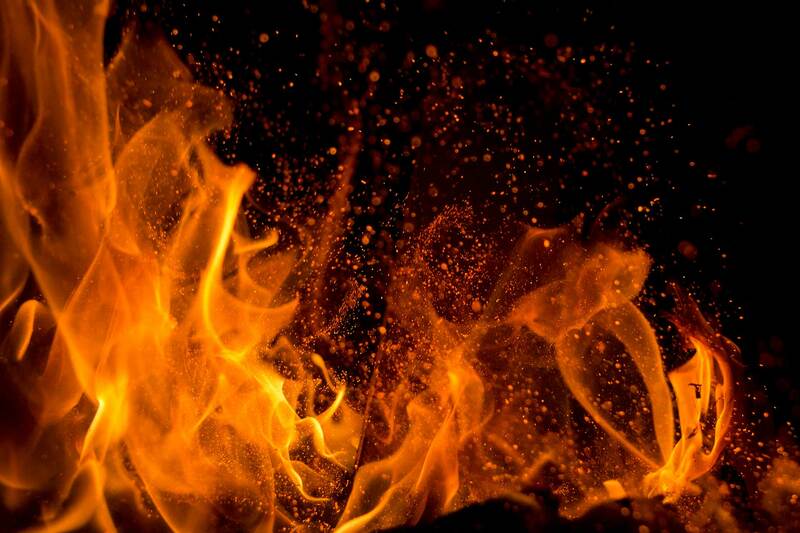 The combustion process creates noxious gases that can contain creosote/soot, carbon monoxide and corrosive chemicals. The purpose of your chimney is to safely vent these hazardous flue gases from your home. Flue tiles are typically sealed with mortar to keep these gases within the flue. But over time, the mixture of heat, moisture and chemicals will erode the mortar, leaving gaps or voids between flue tiles. 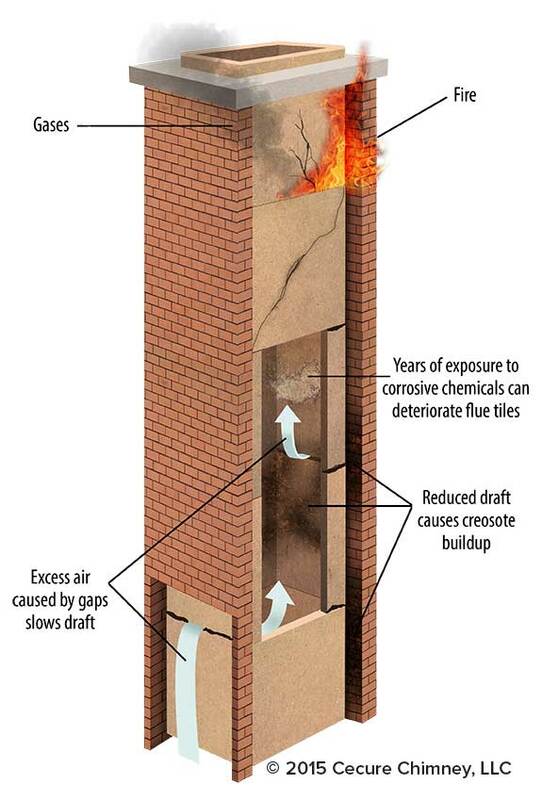 Flue tiles can crack due to “sudden occurrences” such as a previous chimney fire, lightning strike, or seismic event. Cracks may also be caused by poor workmanship or the ongoing settling of your home. Years of exposure to corrosive chemicals and moisture from combustion can attack clay flue tiles, causing pieces of the flue liner to flake off or delaminate, a process called spalling. According to the CSIA (csia.org), problems such as gaps, cracks and spalling in your chimney's flue can present serious risks to your home and family, because your chimney can no longer perform its intended function - to safely contain and vent the products of combustion to the outside. Building codes and fire standards require that chimneys are structurally sound, durable, smoke tight and capable of conveying flue gases to the outside completely and safely. If the flue liner in a chimney has softened, cracked or otherwise deteriorated so that it no longer has the ability to contain the products of combustion (i.e., heat, moisture, creosote, and flue gases), it shall be removed and replaced, repaired or relined..." NFPA 211-Standard for Chimneys, Fireplaces, Vents and Solid Fuel-Burning Appliances (2006). These defects, no matter how small, can begin a process that will further erode the chimney and can pose a threat to your family’s health. When heat, moisture and gases escape through gaps and cracks in your chimney, they can deteriorate your chimney from the inside out. More importantly, the gaps and cracks can cause health risks, by allowing poisonous gases to escape into your home. 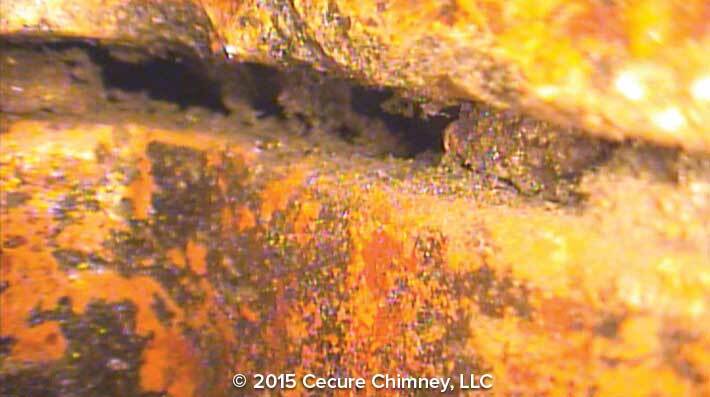 Combustible creosote or soot can also escape through these openings and build up outside the flue liner. 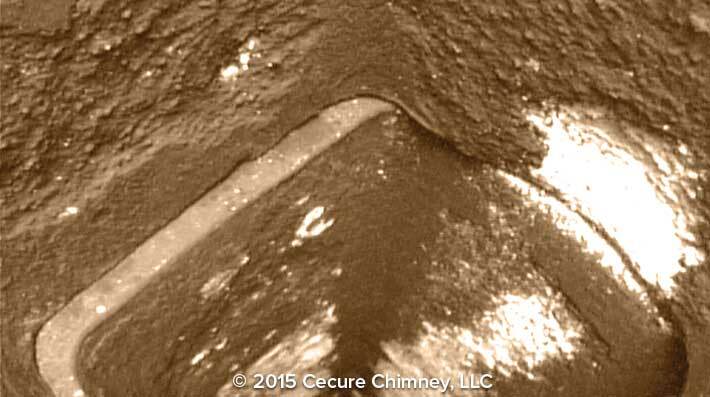 If the creosote catches fire in this area of your chimney, serious damage can occur, because the fire can no longer be contained within the flue. Pieces of flue tile that flake off due to spalling can form dangerous blockages within your chimney. Chimneys, to work correctly and efficiently, must be gas tight and free of gaps and cracks. Gases rising up through your chimney are similar to liquid being sipped through a straw. If the straw has a crack or hole in it the liquid will not flow effectively through it. Gaps and cracks allow excess air into your chimney, slow the updraft and make it harder for smoke and gases to rise up and out. Hence, the fireplace, wood stove or furnace will perform poorly, resulting in the loss of heat efficiency.